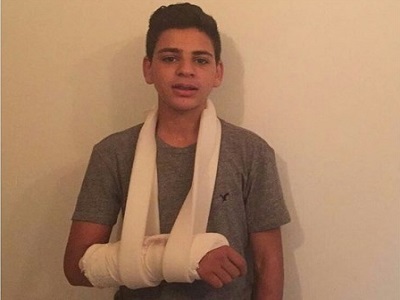 A 15-year-old Palestinian boy sustained a broken hand and heavy bruising after being assaulted and detained by undercover Israeli police officers in the Issawiya neighborhood of occupied East Jerusalem. Fadi Rafat al-Issawi was detained last Sunday when two undercover Israeli police officers in civilian clothing stopped to ask him and his friend Mustafa Abu al-Hummus for directions, after which the officers assaulted the two minors and detained them for allegedly throwing rocks, according to a member of the village’s monitoring committee Muhammad Abu al-Hummus. Fadi’s mother told Ma’an he suffered from medical negligence while in Israeli police custody, and was only taken to hospital at 11 p.m. despite being arrested in the afternoon, and despite suffering from apparent fractures, bruising, and pain. She added that the family was also prevented from visiting Fadi when they arrived at the hospital an hour later. Israeli police did not provide him with painkillers or antibiotics as doctors had recommended, according to Fadi’s mother, and they ignored his treatment during the three days he spent at Jerusalem’s Russian Compound police station and detention center. She added that Fadi’s family took him to a hospital after he was released, where his cast had to be redone, and doctors said his hand might need to undergo surgery. Doctors also revealed that Fadi sustained a fracture in his nose and an infection in his mouth after being hit in the face. Fadi was among at least five other Palestinian youth detained last Sunday, and days later, some 52 Palestinians were detained, 11 of them minors, in occupied East Jerusalem neighborhoods for allegedly throwing stones at Israelis. 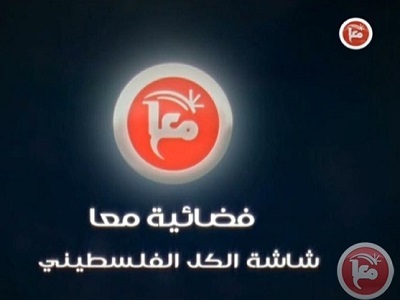 Rights group Defense for Children International – Palestine (DCIP) cited in a report a number of recent cases of Palestinian minors being handed prison sentences for periods ranging between 12 to 39 months, with up to three years’ probation. Youth described being kicked and punched while handcuffed, choked, and having a door slammed in their face. Interrogations of Palestinian children can last up to 90 days according to prisoners’ rights group, Addameer, during which in addition to being beaten and threatened, cases of sexual assault and being placed in solitary confinement to elicit confessions are often reported, while being forced to sign confession documents in Hebrew, which most Palestinian children do not speak.